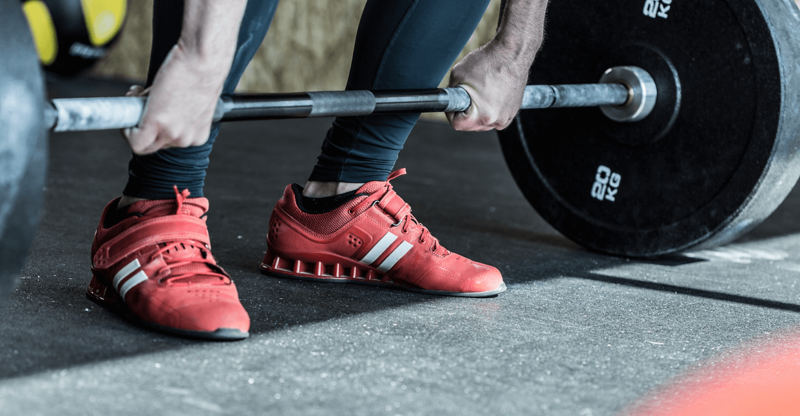 This simple plan for effective strength training with a linear increase of the weights on four basic barbell exercises has been made popular by Mark Rippetoe’s book Starting Strength. The weights start with the bar only in the first workout. After each successful completion of an exercise, you will increase the weight for 1 to 5 kg for the next workout. Perform a few warm-up sets and then three working sets of 5 reps for each exercise. Don’t change the weight between sets. The deadlift will start with a higher weight and for one set only at this stage. Take as much rest between sets as needed to complete each set safely and with perfect form. Make sure to keep a complete rest day after each workout and two rest days after every third. Don’t work out on rest days. Sleep and eat enough and according to the needs for such a demanding training phase. Use the Fit Drills copy function to repeat the cycle a few times until you are ready for phase two. Switch to phase two when the deadlift starts feeling easier than the squat. Always consider your health and safety first. Ask a professional coach to teach you the proper techniques for squat, bench press, overhead press, deadlift and clean before you start this program. Go to a gym with a power rack and work out together with a partner to help you with spotting. You will learn a lot reading the two books from the program’s inventor Mark Rippetoe: Starting Strength and Practical Programming for Strength Training. In the first phase you will iterate two workouts for a total of six sessions in two weeks. Looking forward to hearing your experience with this plan! Comments and suggestions are welcome.